Deadlift revealed! Going into Beta February 8th! 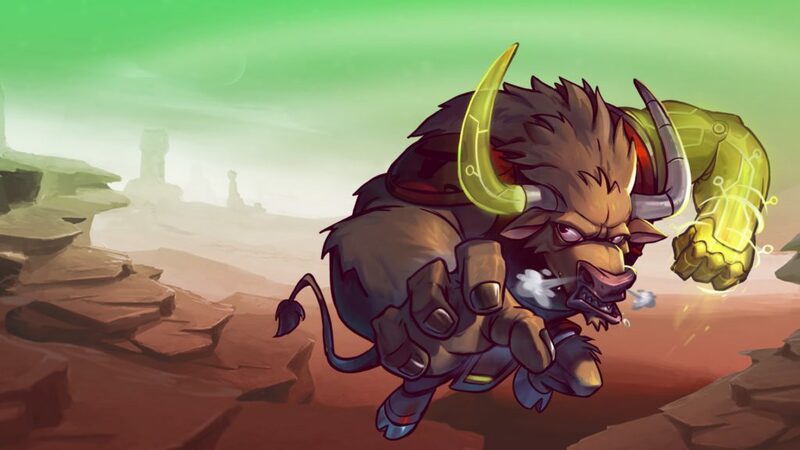 During the Streamisho last Wednesday, Jasper and Joost talked about the new features of the Awesomenauts3.5 Beta, which will go live during the Streamisho next week. The amazing possibilities of the level editor were also shown! The newly revealed character goes by the name of Samuel “Deadlift” Gains, who was a young calf during “The Great Bovinion Wrangling” and escaped aboard a dairy transport bound for the Flexon, where all inhabitants are incredibly muscular! A Kremzon took him in and put him on a rough training regiment, to prepare for his revenge on Sheriff Lonestar. During the stream of February 8th, 17:00 CET, 16:00 UK time, 11AM ET and 8AM PT, we will show gameplay of Deadlift and reveal his voice lines for the first time, and experiment more with the level editor and the custom game browser.